also known as my "Japanese Garden Quilt"
This quilt was completed in the winter of 2009. There is a pattern for this design. You will find it on the shopping page of my site under the "pattern" section. It is machine appliqued and machine quilted. The pattern includes directions for hand applique as well. 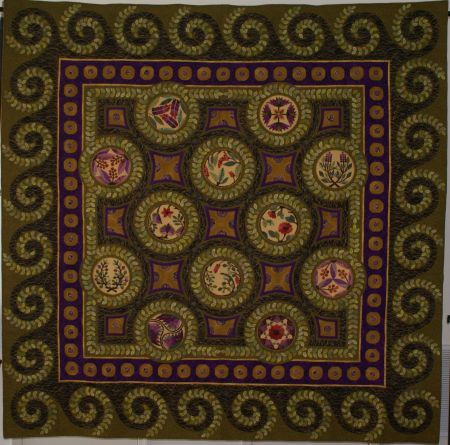 It won first place in the applique catagory at Quilt Odyssey. To see the 12 blocks from this quilt, click here.